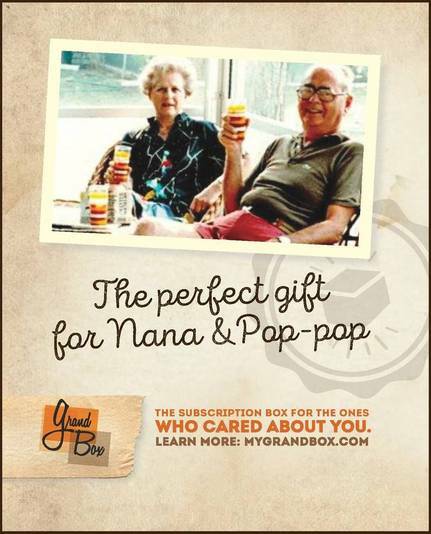 We were recently able to share a Grandbox with Jacob's, my 6 year old's, grandparents. They loved it. Cute snacks, and a game. A game we had never played before, and Jacob was thrilled to play it with grandma. It's called Tenzy. Each player gets 10 dice, and the first person to get all the same number, wins. Jacob couldn't wait to play, so grandma, of course, played it right away with him. There were also my mom's favorite cookies in the box, along with cooked apples and a few other things. Including pictures of the family, having a good time. You can check out Grandbox, over on their page. You will love this subscription box. You can order by 3, 6 or 12 months, or even Month to Month. It'll bring a smile to any grandparents face. Especially when their grandchild wants to play the games with them. My 6 year old loves the box as much as his grandparents. I couldn't have asked for a better box. One that pleases everyone in the family. We created GrandBox to help families, friends, parents, and grandparents stay connected no matter where they live. We sent our first shipment of boxes in March 2014 and we haven't stopped since. You can check out previous boxes, here.